Since October 2013, Mitech Partners has changed the way businesses shop, order and get support for their telecom services. 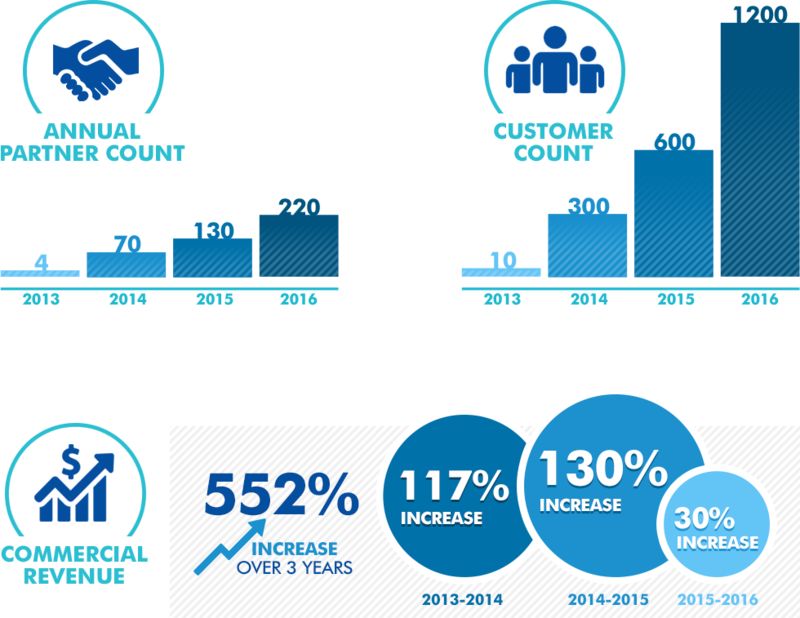 As shown below, Mitech has had steady growth in customers, sales partners and revenue each year. If you are interested in discussing investment opportunities with Mitech, please contact us for more information. Mitech Partners is currently participating in the EO’s Catalyst Accelerator and is currently based in the Nashville Entrepreneur Center.